You're trip to the airport should be easy! 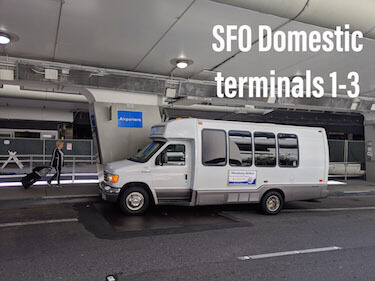 Click below for more details on all of our SJC and SFO airport shuttle pickup locations. 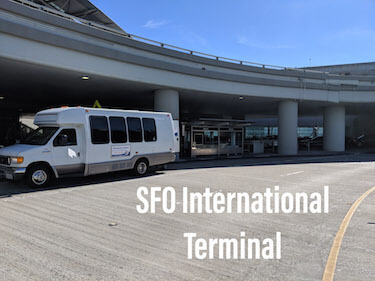 With our pickup and drop off location guide, it's easy to find your San Jose or San Francisco airport shuttle. 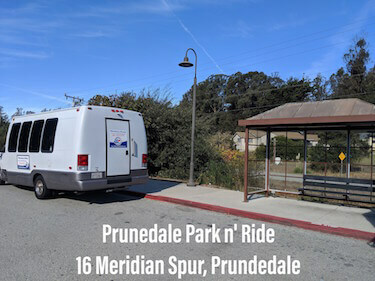 Our pickup and drop off locations are available in Marina, Prunedale, and Monterey, as well as, San Francisco International Airport (International and Domestic) and San Jose International Airport (Terminal A, B, and International). Corner of Beach Rd. and Reservation Rd. At the bus stop. Between Jefferson and Franklin. In front of the parking garage. Cross the street from SFO customs exit (door #1) to the sign post on the center island labeled ‘Airporters’. (Terminals 1,2 & 3) – Cross the street from lower level baggage claim at SFO to the blue posts on the center island labeled ‘Airporters’. 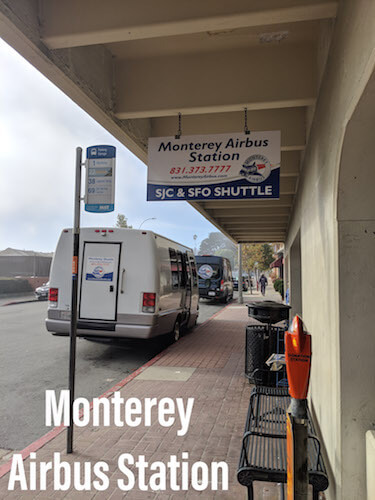 Exit curbside from SJC's baggage claim, turn left/south to sign post on curb labeled ‘Scheduled Buses Bus stop 4 – about 30 to 50 yards (just past the private car pick-up zone). 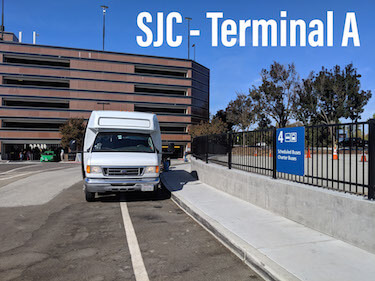 Use Terminal A pickup point at SJC - cross the street to parking structure curb, turn left/north to sign post labeled ‘Scheduled Buses, Bus stop 4 – about 50 yards. 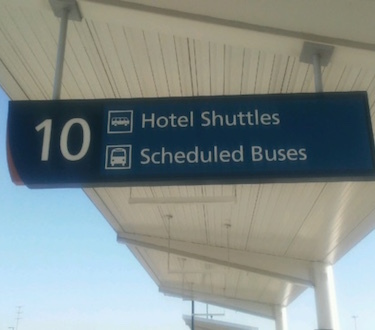 Need more than a scheduled shuttle services? 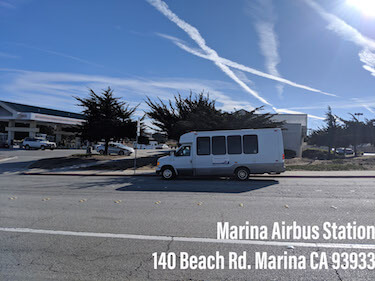 Main Event Transportation also provides private charter services to SFO and SJC with options for limousines, luxury sedans, SUVs, and mini-coaches. Check with Main Event for limo availability.